Fabiola is experienced in collaborative and interdisciplinary, national and international research projects. As the academic lead for admissions she is keen on research and evidence undermining reliable and valid admission selection tools and methodologies. She is the chair of the selection method working group and an active member of the admission working group at the Faculty of Medicine. A comprehensive review of published data is the foundation of an informed redevelopment of the faculty’s admission framework, which is one of the areas Fabiola has been focusing on. After obtaining ethics approval she has lead several staff and student focus groups at UQ and with Ochsner Clinical School (USA) to gain better insight into faculty's stakeholder’s experiences and needs. As a translational scientists, she has worked as a knowledge broker between biomedical, health scientists and clinicians with the aim to protect and improve human health supported by a healthy environment. Her focus has led to several C2D2 funding awards at University of York, which specifically supports multi-disciplinary work. 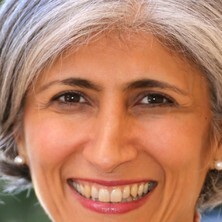 She is the chair HAM/TSP international consortium and has set up the HAMLET-P trial at four sites: Japan, Brazil, USA (NIH) and UK (Imperial College and University of York). This is the first ever international, randomised double blind controlled HAM/TSP trial. It will start recruiting HAM/TSP patients in 2016. Her focus on patient centered research has led to her previous collaboration with Rare Disease UK with the aim to map the unmet needs of patients’ and health care provider’s in the field of rare non-genetic diseases. She is a member of the UK Collaborative Cohort study, which was set up in 1996 and collects and analysis HIV patient relevant information collectively. She is specifically interested in HIV testing, mother to child transmission, HIV in older people and care provision. Her collaboration with Prof Elizabeth Hughes on blood borne viruses and serious mental health illness has led to the discovery of lack of research in this important field. They have succeeded in securing NIHR HTA funding for an interventional study called: The RESPECT Study (Randomised Evaluation of Sexual health Promotion Effectiveness informing Care and Treatment): a feasibility study of an intervention aimed at improving the Sexual Health of People with Severe Mental Illness. Recently she has become more interested in climate change and its threats to human health, especially its inter-relationship with forced migration and conflict.